“Where are we going today?” call the kids from the back of the car, as we cross the border from Sweden into Norway. “We're off to see some slag heaps!” I exclaim. Their enthusiasm, quite understandably, is underwhelming. Even after I explain that a slag heap is the by-product of copper smelting, and that these are really, really big slag heaps, they're still not convinced that they're going to have a fun day. 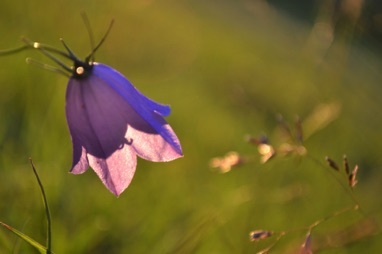 But after some persuasion – including the promise of a very nice swimming pool and at least one ice cream to eat either before, during or after the visit to the slag heaps – they comply, albeit reluctantly, and we complete the journey to our next destination with no further grumblings. 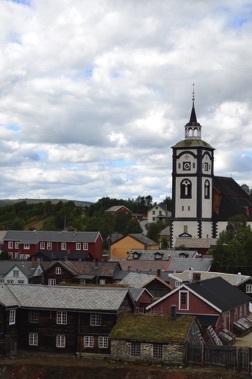 And so it is that we arrive in the Norwegian town of Røros. While slag heaps may not be the most inspiring reason to visit a place, this is in fact one of the prettiest and most captivating towns in the country. 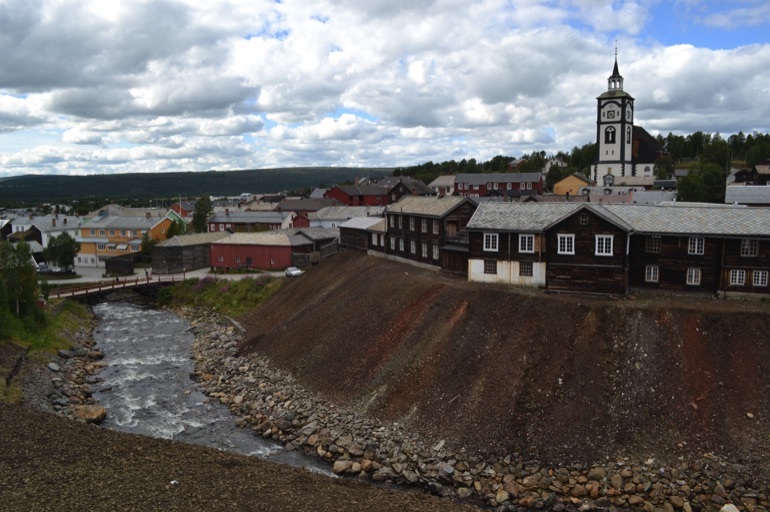 Awarded UNESCO World Heritage status in 1980, Røros was an important centre for copper mining in the 17th century – and the whole place is steeped in history. 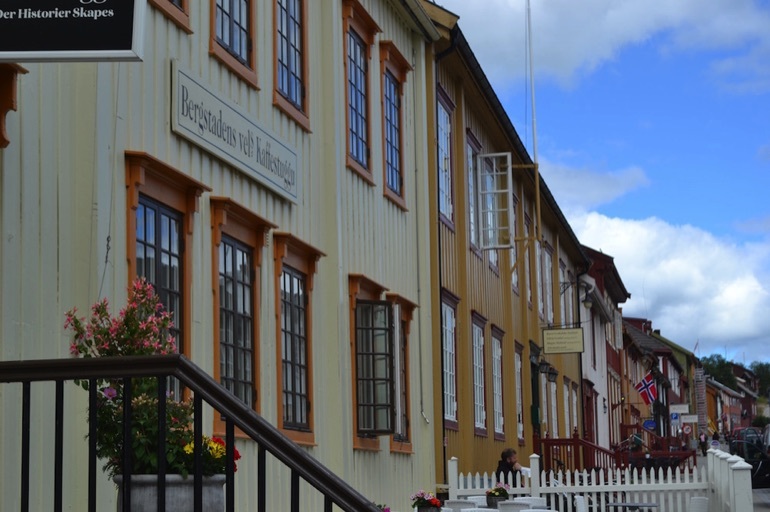 It's one of the oldest towns of wooden buildings in Europe, with some 2,000 old wooden houses surviving – some painted in an array of rainbow shades, others with preserved blackened facades. With much of the original character still intact, and some fantastic shops and cafés in the town centre, it's a great place to spend an afternoon or longer. 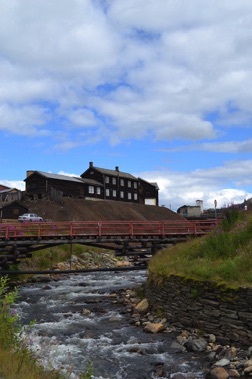 It's essentially a huge open-air museum, with whole streets and houses preserved in the way they would have looked at the height of the town's mining activity. 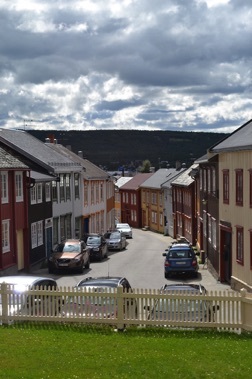 And, as Røros is quite small and compact, everything is within easy walking distance. 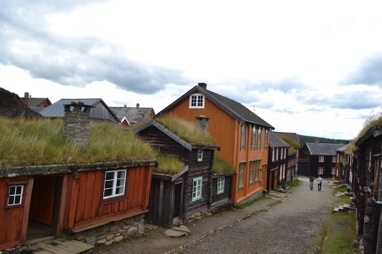 One of the most interesting areas is Sleggveien – Slag Road – which is lined with ancient, turf-roofed houses. While many of these are private residences and are still lived in – with potted geraniums and lace curtains in the windows – a few are open to the public during the summer months. These have been restored to offer a vivid picture of how some of the town's inhabitants would have lived hundreds of years ago. 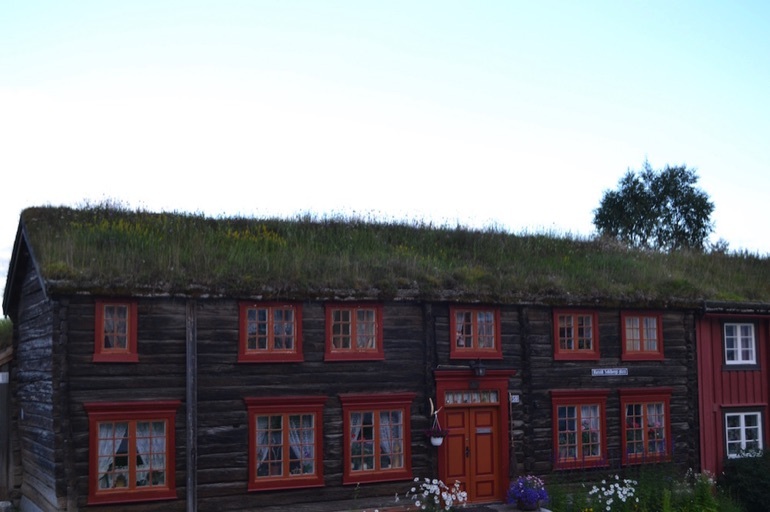 Many of the buildings have green roofs with grass, wildflowers and even trees growing on top of them – giving the dwellings a hobbitish appearance. Wandering in and out of the houses is fascinating. 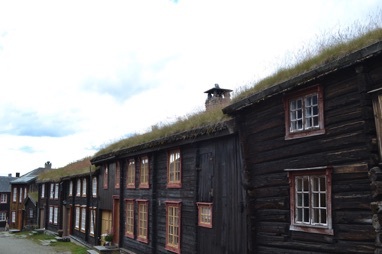 Operated by members of the Røros Museum and Historical Society, there are experts at hand inside to explain a little of the history of each house – bringing the interiors to life. For example, we learnt the story of the blacksmith's workshop. 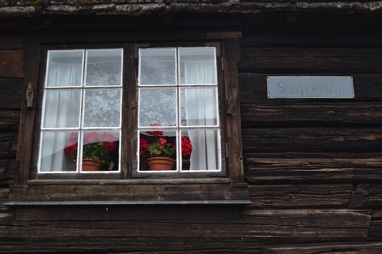 This later became the home of a Swedish man called Nygren, who had a long beard. Many of the neighbourhood children were nervous of Nygren because he owned a gun. He also owned a baby pig, which he kept in a drawer under the bed. We explored each dwelling, climbing up rickety wooden ladders to get a glimpse of the upper floors and marvelling at the small doorframes and low ceilings. 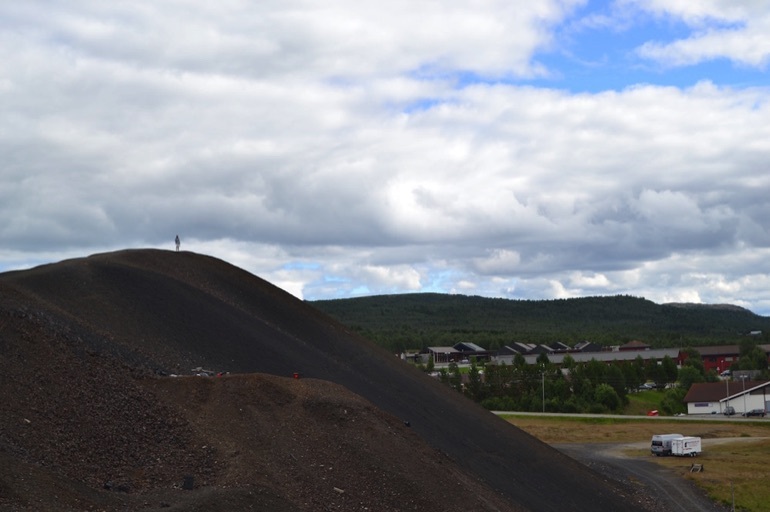 At the top of Sleggveien, the slag heaps – Slegghaugen – rise towards the sky, dwarfing the little houses and towering over the town. 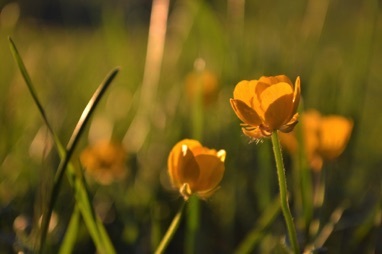 Although this is a protected area, you're free to wander – paths take you to the summit, from where you get panoramic and somewhat vertiginous views across town. Within this view, the church stands out prominently. This imposing white building was completed in 1784 and – with seating for 1,600 people – is one of the largest churches in Norway. As well as being used for services, weddings and christenings, it's also used as a live music and cultural venue with concerts scheduled throughout the year. 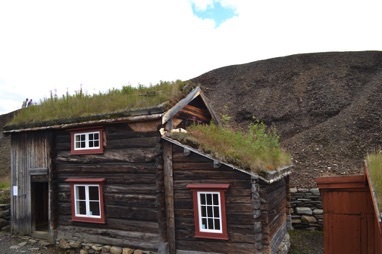 Just below the slag heaps is the Smelthytta Museum, with exhibitions about the history of the Røros Copper Works – models of mines, smelters and technical installations. It's here that you'll find out all you need to know about copper mining in the town. The museum is built on the site of the old smelter – this burnt down in 1975, and two years later the mines closed down for good after 333 years of operation. 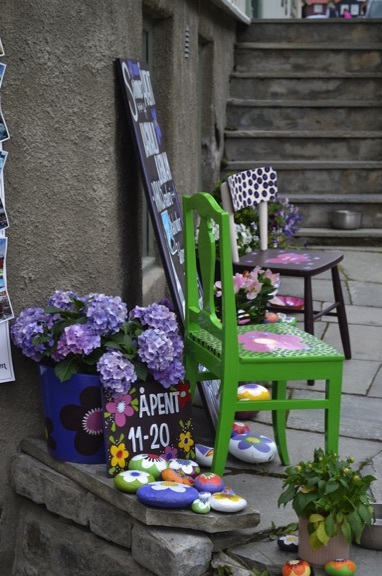 Back in the town centre, we wandered along the colourful main street. 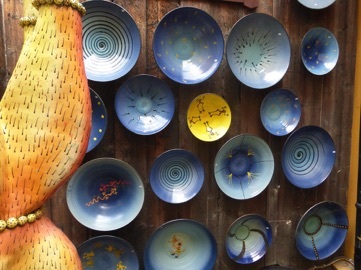 There are lots of fantastic independent shops, workshops and galleries here, including the wonderfully surreal Lysgaard Keramikk – a pottery workshop packed with gorgeous creations that are displayed in tunnel-like corridors, cave-like rooms and a tiled courtyard. 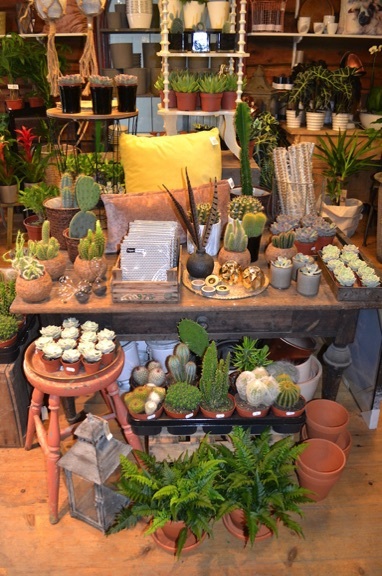 Other specialist shops included a cacti and succulent centre, a homewares store full of Scandinavian designs, a sweet shop with an upper floor devoted entirely to Christmas decorations, and lots of little boutiques selling unique clothes, accessories and handicrafts. 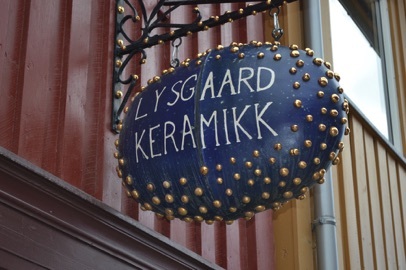 There are also plenty of independent food shops and cafes. 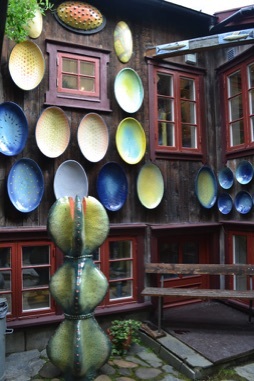 Røros is renowned for its excellent quality, locally produced food. 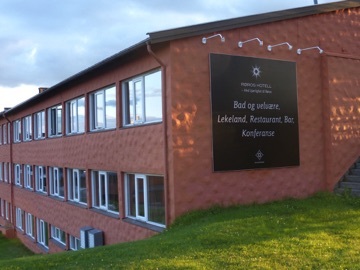 This focus on the promotion of local food is just one aspect of the town that has made it one of the most sustainable destinations in Norway, receiving the prestigious “Sustainable Destination” certificate in 2013 – an award given only to a handful of destinations that work systematically to reduce the environmental impact of tourism. The town is justifiably proud of its eco status, and sets an excellent example to other tourist hotspots. 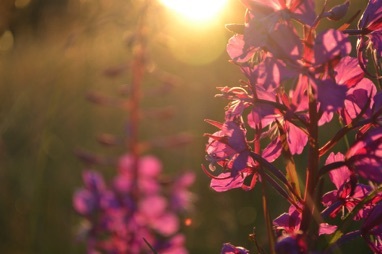 Protecting the environment can go hand-in-hand with tourism – benefiting nature, visitors and the whole community – and this is something that Røros is doing very well. 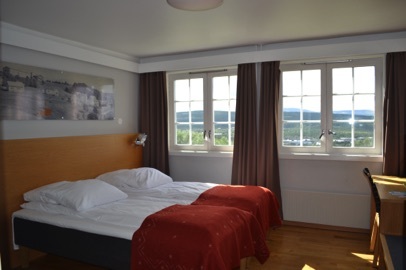 We stayed at the warm and welcoming Røros Hotell. It's easy to find – situated alongside the main road as you enter the town – and is within walking distance of everything you want to see. We really appreciated being able to wander into town in the evening, without having to worry about getting in the car or finding a parking space. This is a family-friendly hotel. 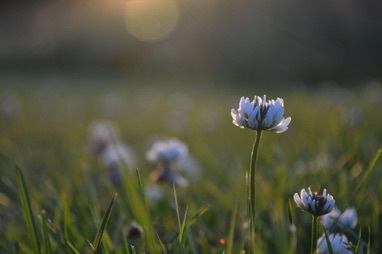 At the front of the hotel is a large outdoor play area with climbing frame and swings, and there are lawns with plenty of space for kids to run around – and lots of wildflowers. The family rooms have bunk beds, so that kids don't have to share a bed – good news if you're travelling with older kids or teenagers. Our room had fabulous mountain views from the windows, and was spotless, spacious and comfortable. For breakfast, there was an extensive choice of food – with many dishes and ingredients sourced locally, in keeping with the town's Sustainable Destination status. The pancakes were a hit with the kids, but we adults particularly enjoyed the traditional Norwegian dish of pytt i panne – a tasty and filling combination of meat, onions and fried potatoes. All the other usual breakfast offerings were available too of course, including fresh fruit, cereals, yoghurt, eggs and a selection of cold meats, fish and cheeses. The hotel's spacious reception area, with comfy chairs and open fire crackling in the fireplace, is a lovely place to sit and relax after a day exploring the town. 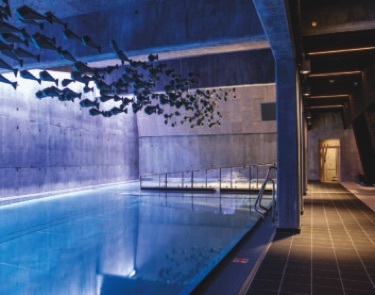 The real clincher at Røros Hotell, though, is the hotel's superb swimming complex. Here we found indoor and outdoor pools, two hot tubs, a sauna and a steam room. The large indoor pool is 27m long – so there is plenty of space for some serious lengths. 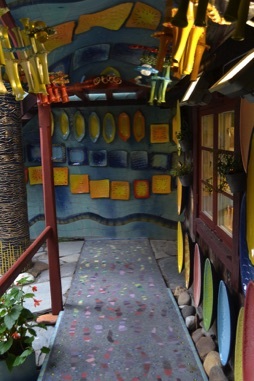 At one end of the pool is a large, shallow children's area with fountain and slide – perfect for little kids. 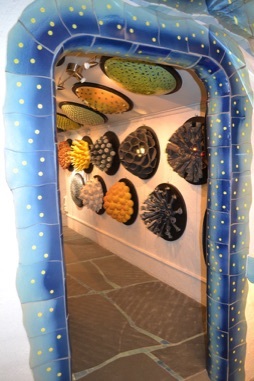 Get your children to guess how many fish are swimming in the marvellous ceramic sculpture (created by local artist Per Lysgård) that's suspended along the length of the pool (answer: 303)!